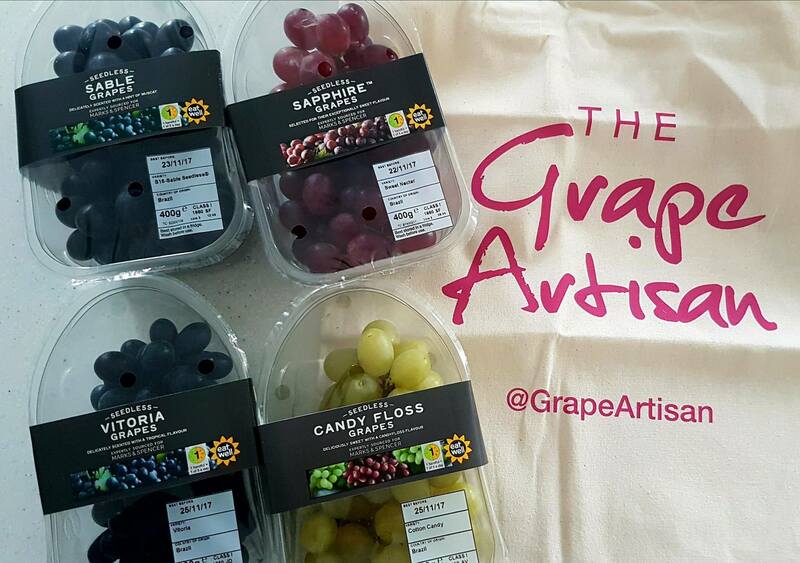 Thanks to Grape Artisan, passionate about speciality grapes in the UK from M&S Food, I received a selection of the infamous Cotton Candy grapes alongside other unusual varieties like Sable and Vitoria, all with their own unique twist on the classic flavour. 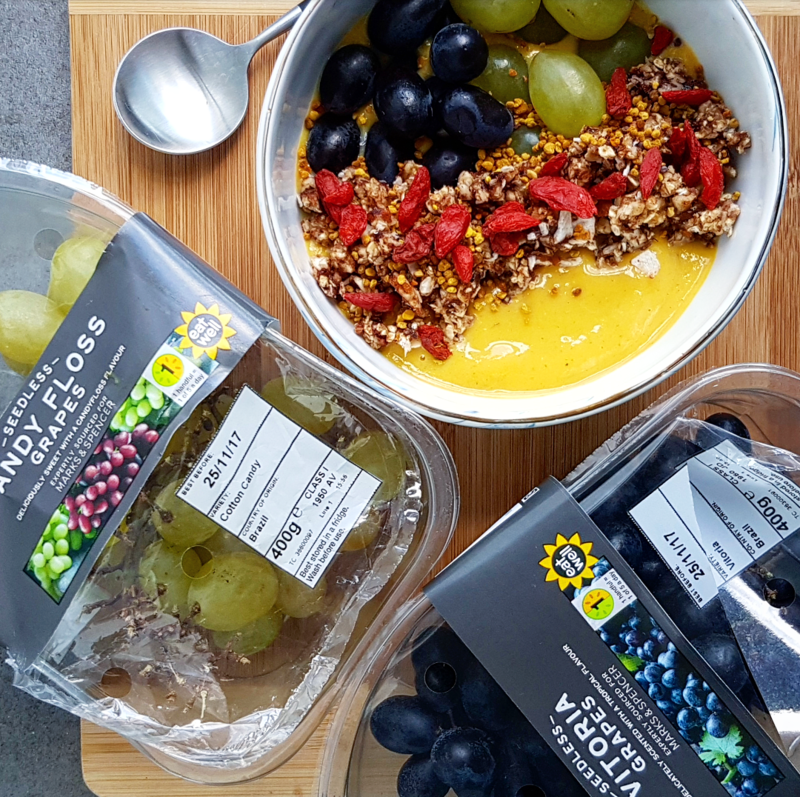 When you get sent loads of delicious, juicy artisan grapes, what do you do with them (other than eat them like candy and add them to a smoothie bowl)? Bake with them! 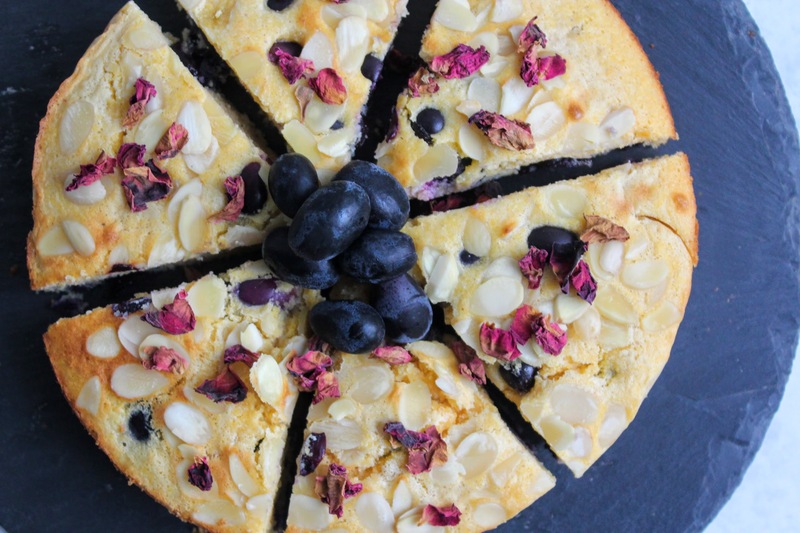 Using Vitoria grapes in this recipe, they work in harmony with the sweet hint of almond and slightly crunchy texture of polenta in this gluten-free, no refined sugar cake. 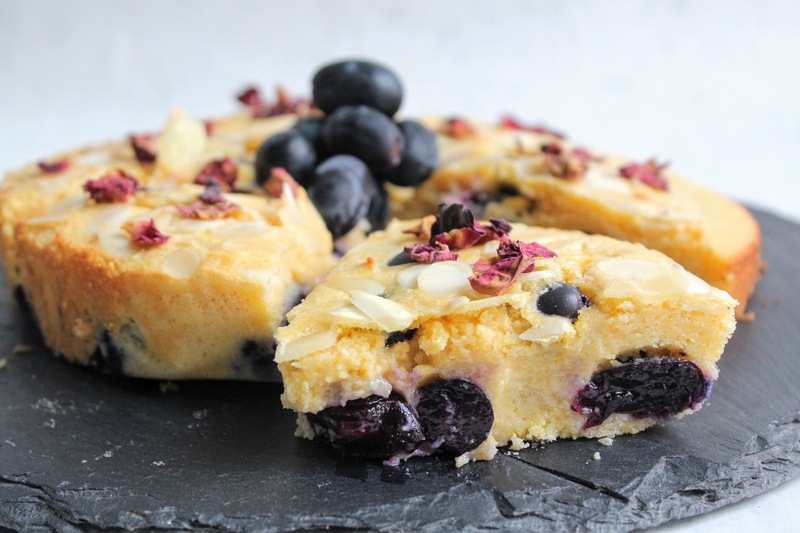 Simple to make and ideal to go alongside a cup of tea, herbal tea or coffee (your hot beverage of choice), you should definitely try these grapes if you spot them! 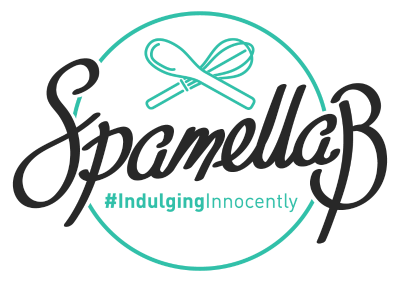 Preheat the oven to 180 degrees C and grease and line a 20cm loose-bottomed round tin. 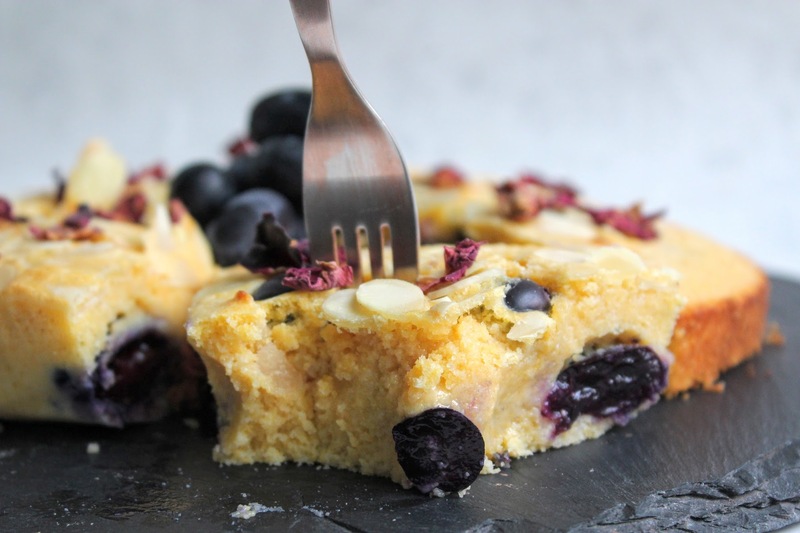 Mix together the polenta, flour, ground almonds, stevia and baking powder in a bowl. Pour into the tin then scatter over the grapes evenly. 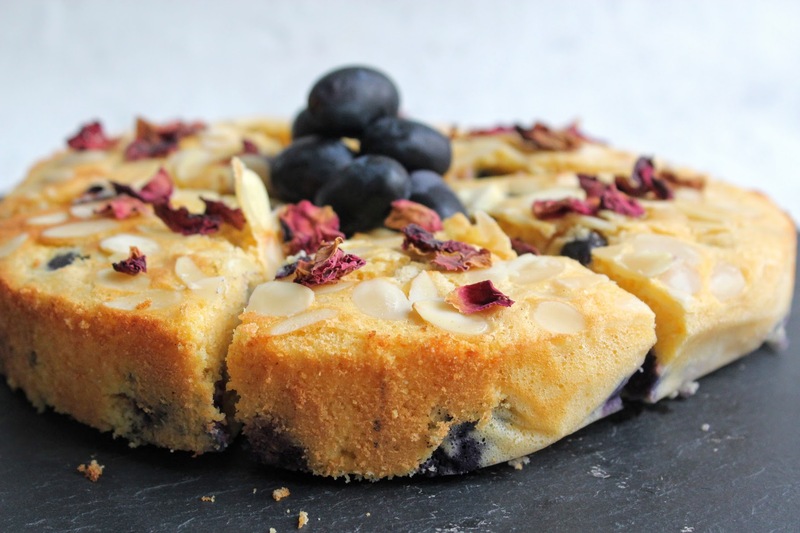 Sprinkle the flaked almonds on top then bake for 30-35 minutes until firm and golden. Leave to cool in the tin. 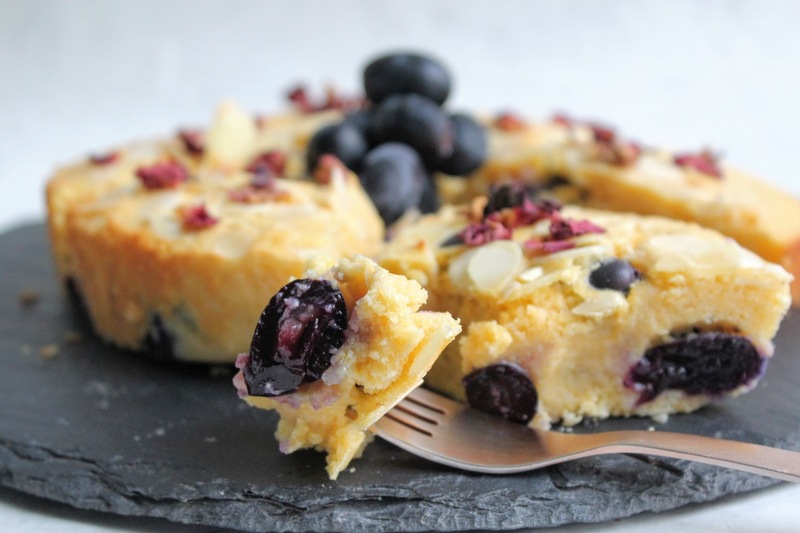 Remove from the tin, slice into 6-8 then serve!